An entire city of film sets, from Bollywood and Hollywood to famous monuments and what not. Located in the outskirts of Hyderabad the place seems to be more of a tourist destination than a place for movie directors to find their perfect location. Apparently, it isn't as popular as it once was in the film industry, but it's still an entertaining experience. A bright red tourist bus takes you around the massive place, while a guide rattles off the number of movies and famous directors that have chosen locations here. 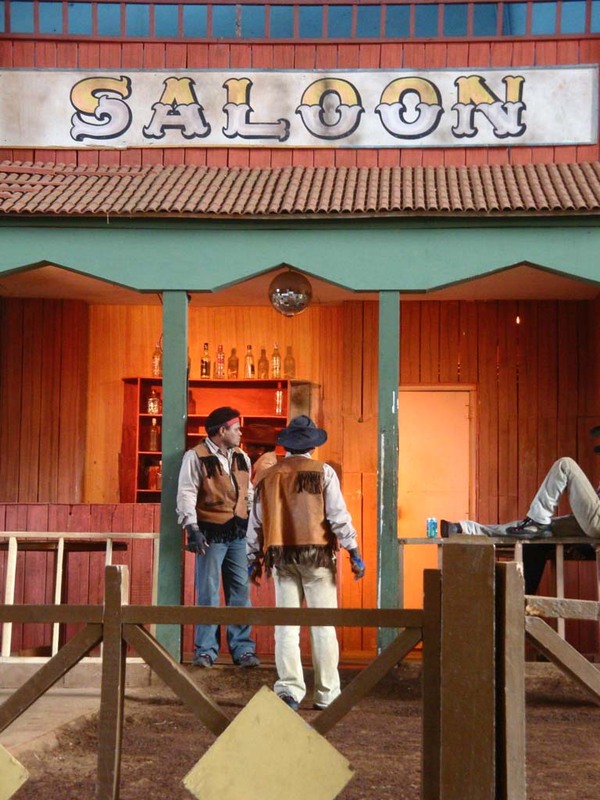 The wild west area has several actors and stunt men who perform an entire action sequence, blowing up banks, etc. Now for the more local, Indian sets! A fort, or it would be more accurate to call it the entrance to a fort. A fake airport, looks like what it may have looked like 10 or 20 yrs ago. Completely outdated. Inside the airplane set, look at the number of tourists! One of the several palace sets, lit up at night. Giant creepy statues that line some of the pavements.